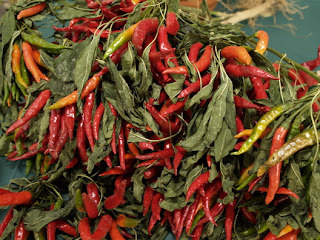 It's an absolutely delightful event designed to celebrate the chile plant as it is used in cultures all over the world, from the Caribbean to Asia to South & Central America and Mexico. Positively chock full of music, dance, and culinary adventures inspired by these cultures-- this year's lineup includes duo Ringold & Ellis performing fiery feats of flame (including the famous "fire umbrella"-- woot! ), Peruvian dance from Ballet Folklorico Peru, hot Caribbean rhythms from Sesame Flyers Steel Pan Orchestra, the borough's own Brooklyn Petro hot sauce makers whipping up a batch of their spicy manna, Latin/Jewish fusion cooking from the Brooklyn ladies of the Post Punk Kitchen and much more.